A Beginner's Guide to Understanding the Power of Google Analytics on Your Bottom Line and How to Get Started. Years ago, business owners had no way of knowing how effective their marketing strategies were, other than by judging from inventory or the use of coupons. Today, we have mind blowing analytics programs that allow us to easily track our site visitor in ways that we didn't think were possible. Some of the most effective online businesses are using analytics to reach their audience, like Yelp.com. Yelp began in 2004 as a community for sharing restaurant reviews and customer experiences at local businesses. Four years after starting up the Web site, Yelp went from a few thousand visitors per year to over 15.8 million unique hits, all by leveraging the power of analytics to better understand their growing audience. Discount Tire is another success story (in fact, you'd be hard pressed to find any business that used analytics and actually decreased their number of visitors). 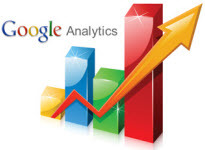 The week Discount Tire began using Google Analytics, their online sales increased by 14%. Regardless of whether you offer a product or service, or are in the business of self-promoting, Google Analytics can provide you with information to increase your audience. Let's take a look at a few ways analytics helps small businesses.